Typhoon OMAIS started to follow a strange track, and the forecast also indicates a zigzag track. Will the typhoon start "wandering around" as the name stands for? It seems Typhoon OMAIS did not make a significant change today, so only an image is provided here. 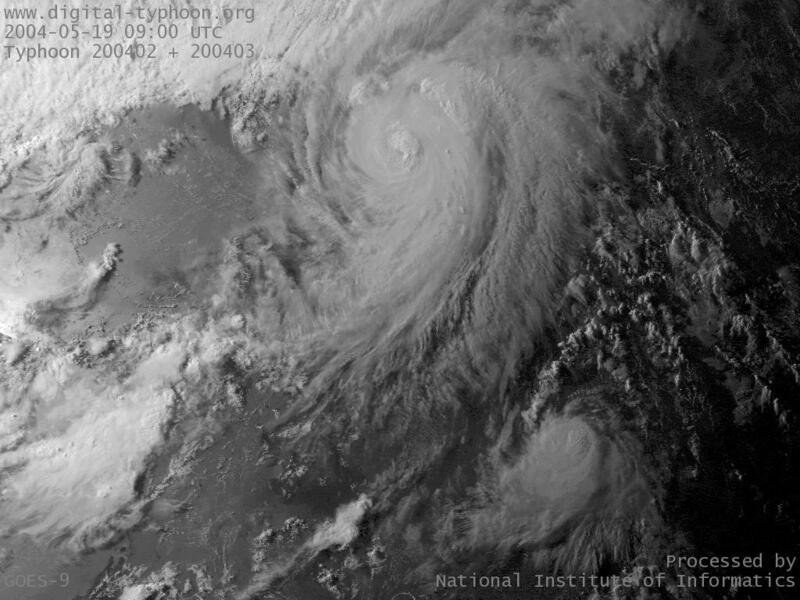 This is the same image as the one in the page of Typhoon NIDA. Typhoon OMAIS was born in Caroline islands. As the name "wandering around" stands for, Typhoon OMAIS may wander around due to an interaction (Fujiwara effect) with the bigger typhoon, Typhoon NIDA.